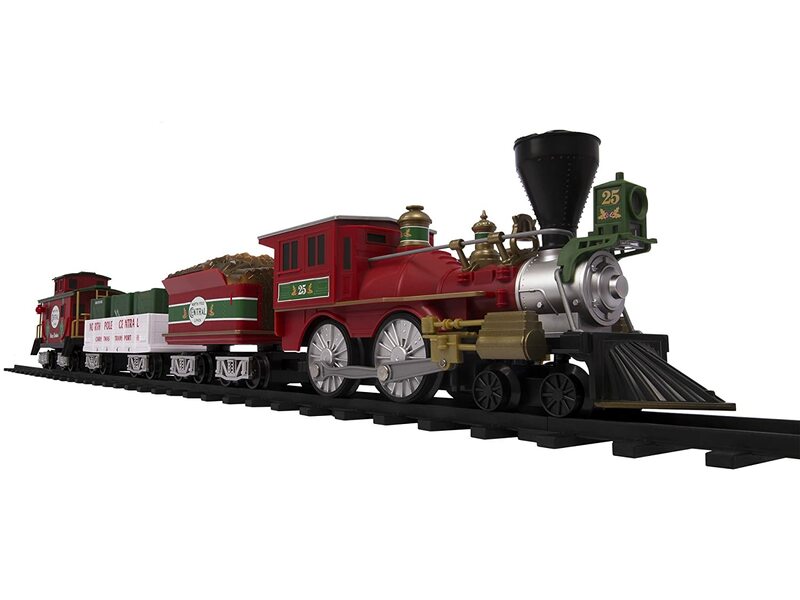 The Lionel North Pole Central Christmas train set makes the perfect starter package for you if you are considering the addition of such a display around the Christmas tree. Ah the beauty of a Christmas train riding around the tree in the early morning. When it’s cold outside and warm inside. When the sun hasn’t set yet, the lights are turned on and provide the room with a cosy atmosphere. 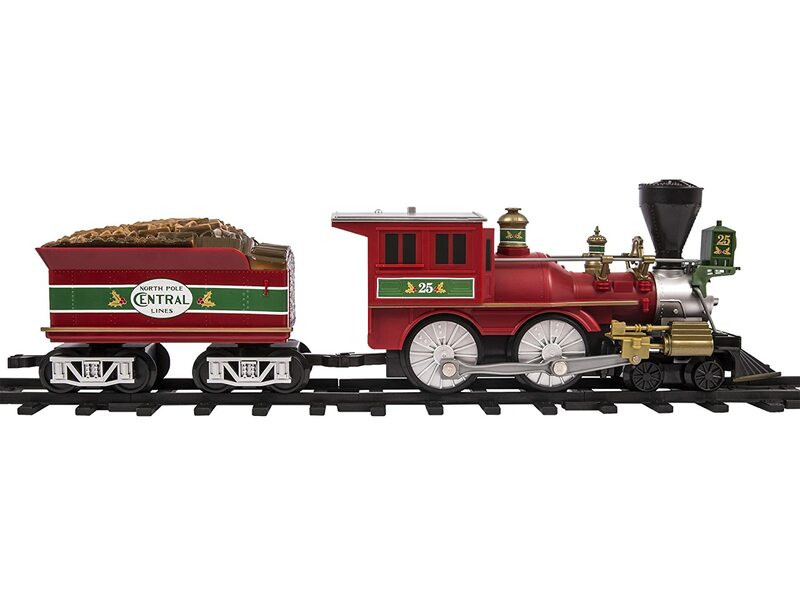 The North Pole Central Christmas train set by Lionel is the perfect set that will ride around your tree this year. I’m sure you like the dioramas and other Christmas displays that one can see in stores in the end of year holiday season. And I’m sure that you’re going to love to see the Lionel North Pole Central Christmas train set joyfully riding around the tree as well. 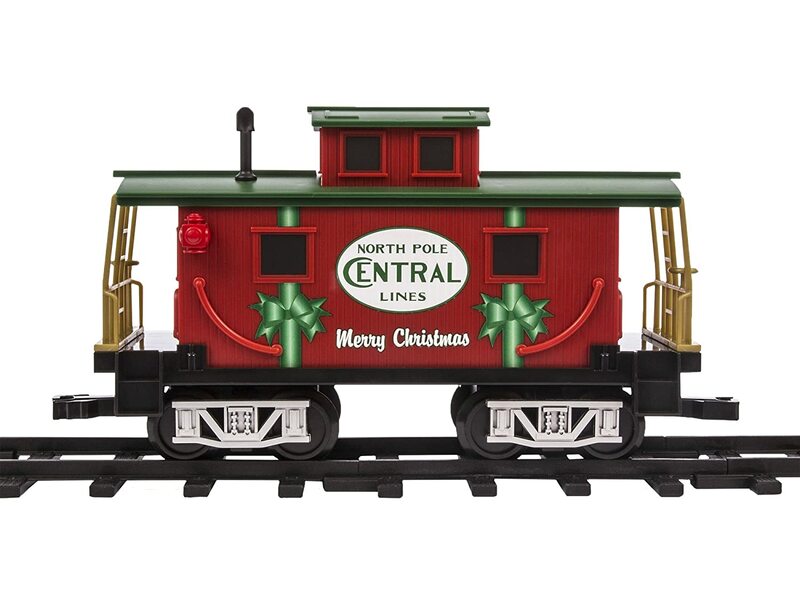 Here you’re going to discover the Lionel North Pole Central Christmas train set by Lionel. It will allow you to add a cheerful touch to the home for the whole family to enjoy on Christmas morning. 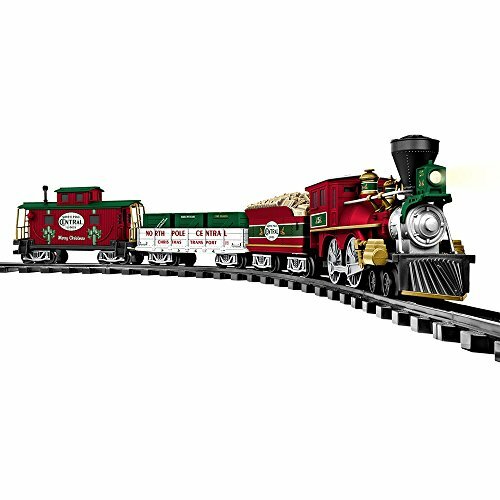 The Lionel North Pole Central Christmas train is big enough to be placed beneath the tree for the train to ride around it. Don’t you love these exquisite holiday decorated trains? If you’re like me, you certainly want to collect all of them. The Lionel North Pole Central comes in bright colors. As you can see on the pictures, it is decked out with the holiday season in mind. And you will certainly love the silver, gold, red and green colors that make it shine like a gemstone. Includes very large oval tracks: 50″ L x 73.2″ W – 125 cm x 185 cm. The transformer allows the control of movements: forward, neutral, backward. The locomotive comes with a working headlight. The cars are made of durable plastic. Also this item is powered by batteries (for the remote control and the engine). This set makes a great starter pack for all Christmas train amateurs. Over time you can even create a life-like diorama. Placed on a special table, it will look gorgeous as the focal center of a Christmas market. With the addition of miniature Christmas trees, figurines, holiday market stands, tiny houses… Or you can just limit the train to ride around the tree in the sitting room. Because the gondola is quite large, you can fill it with candies for the kids to find on Christmas morning. So let’s recap. 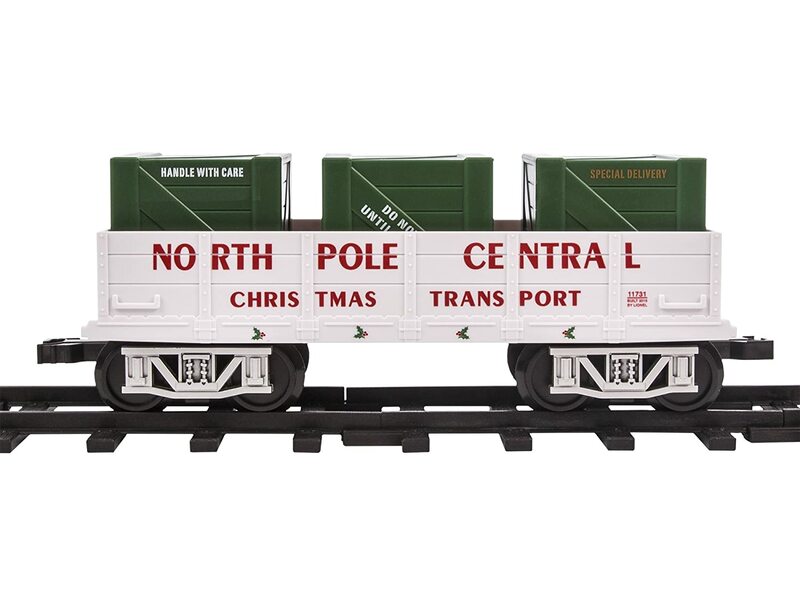 This delightful North Pole Central Christmas train set includes: the engine, the tender, the gondola, the caboose, 24 curved tracks and 8 straight tracks. The overall dimensions of the tracks are very big, so you won’t have any troubles installing the train beneath the tree. Tagged christmas train sets, christmas trains for under the tree, electric christmas trains, lionel christmas trains, Lionel North Pole Central Christmas train set, Lionel North Pole Central Train Set, lionel north pole express trains, train sets for adults, train sets for kids, under the tree christmas trains.